Wild Apricot Review: Is It Good Or Bad? Creating online membership directories have become easier with the availability of the membership software solutions like Wild Apricot. While you are checking on the alternatives to create your membership websites, it’s difficult to make sure that the service you choose is reliable and has all the features you expect from your website. 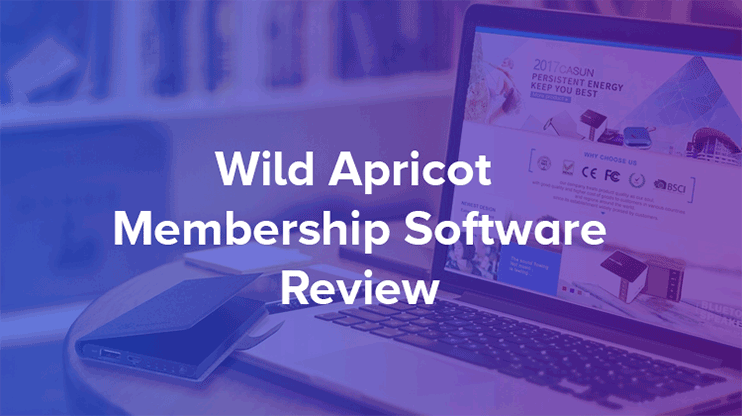 In this Wild Apricot review article, we will discuss the pros, cons and how this membership software works. Whether you run a Charitable trust, a nonprofit organization, or an entertainment club, you need a centralized membership website to let you manage it all. With the available technologies, you can create a membership management software whether or not you are a technical expert. Wild Apricot is a cloud-based membership management software. However, it can be used for several other purposes too. It is a platform that even non-technical people can use to create their membership based website. We recommend WildApricot for your membership site. You can’t go wrong with this massively popular software. Create a wild apricot account today! and get started with your membership site. The Wild Apricot membership management software is generally used by membership associations, clubs, non-profit organizations like churches, donation groups, and societies and councils that want a centralized membership management website. The Wild Apricot Membership software is provided as a cloud-based SAAS. They let you use their platform and create your website using the infrastructure facilities provided by them. Wild Apricot website building software allows you to get started with your website in just moments. All you need to do is to create an account and start creating your website. 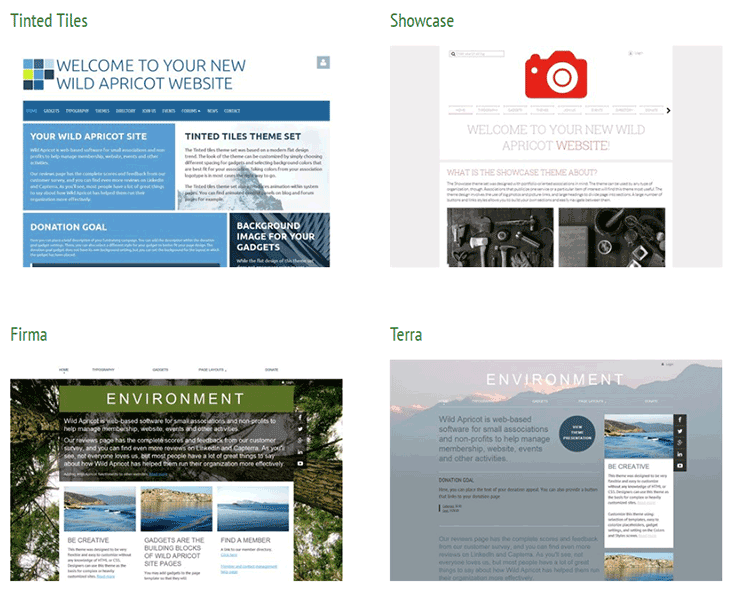 What kind of websites can you create with Wild Apricot membership software? You can create multiple types of membership based websites with the Wild Apricot membership management software. You can cwMembership directory website, Non-profit or fundraising website, etc. It can be used to create any kind of websites with protected data access. For instance, you can create a community website with the community members or an eLearning website with protected courses and tutorials. In short, you can create any kind of membership based website. This membership management system works well for the above-listed domains. However, it is totally flexible and hence you can use it for other purposes as well. All you need to start with your Membership Directory Software is an account on the Wild Apricot website. There’s no lengthy registration process to start creating your membership website with Wild Apricot. All you need to do is to fill up the form given below and get started with your membership directory website. Select your organization type and click on the “Activate your Wild Apricot account” button to get started. Signing up will get you started with a free one month trial. Therefore, you can sign up without submitting the credit card information. After the trial period is over, you can decide if you want to continue using the platform and complete the payment procedure. Apart from the membership features, the Wild Apricot has some awesome other features to let you create your websites. Membership Management features: The advanced membership management features of wild apricot includes membership renewals, content restriction, members management, and membership directory features. Events membership: The events membership features include events listing and registration process, event promotion and reminders, events attendee management, reports, etc. Online Payments: The payment processing features include smooth payment processing, tax management, reporting, export, etc. Mobile Apps: This feature is here for the accessibility. It provides you the ability to manage your membership website through your mobile device. Website Builder: Wild Apricot membership management software lets you either build a website or link your membership portal to your existing website. 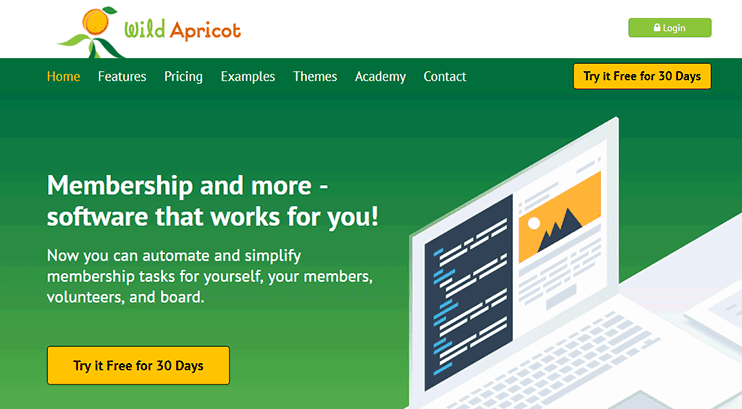 In brief, this Wild Apricot is a smart membership module that you can use for a variety of reasons. You can either use it to create a simple member management software as well as an online membership management website. Wild Apricot has its pricing plans defined as monthly packages. And the good news is, they have a wide range of packages to choose from. Most of the website building software have their pricing plans framed on monthly basis. And Wild Apricots have several plans with a fixed monthly rate. You can choose from one of the above packages and decide for how many months you want to subscribe to their platform. 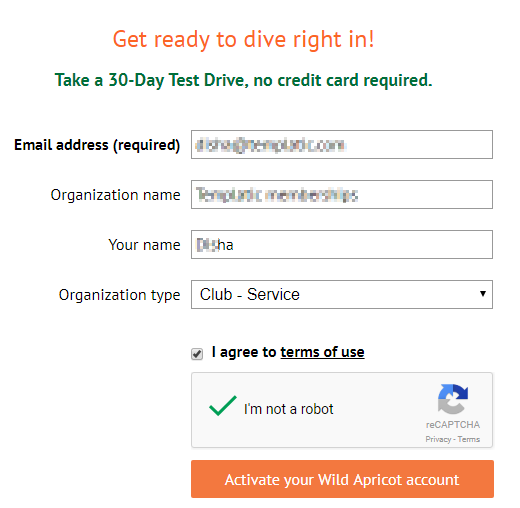 Before signing up and paying for your membership directory software, Wild Apricot lets you try their platform for free for one month. After the trial, you can choose from one of the pay packages and start creating your website. The one month trial is very advantageous as you get a lot of time to experiment with different aspects of the software and conclude if it can really help you built a site of your choice. Creating a website based on some software platform has one problem. It’s difficult to find the design of your choice. However, it is not so when you use the Wild Apricot membership software. This software lets you choose the theme for your membership website. There are different themes for libraries, real estate, food service organization, product/service showcase, etc. Moreover, all of them are customizable and come with options to let you change and manage the design of your website. If you want to create a directory based website, you can go for popular alternatives like Brilliant Directory, eDirectory or the Directory Software by Templatic. Why look for Wild Apricot alternatives? When it comes to online website building software, you must try and inquire about different alternatives before you subscribe and start creating your website. Wild Apricot surely has many interesting features when it comes to membership. You can use it for non-profit membership management or for creating a membership directory website. However, there are many other software and website builders that you can use to create your website. The ideal platform for creating your website always depends on the type of website you want to create and the features you want to include. Therefore, before you decide to go for a website building platform, you should always research and try it. For membership-based websites for organizations like churches, clubs, non-profit organizations, associations, Wild Apricot provides you with the best options. As the platform is specifically designed for creating membership websites, it helps you create fully functional and flexible membership websites, effortlessly. Hoping this wild apricot review helps you choose the best for your website.